Australian Coat of Arms is the symbol for Commonwealth of Australia. It represents the Commonwealth of Australia as a nation. Highest up is the Commonwealth Star. In the middle is the shield with symbols of the states. 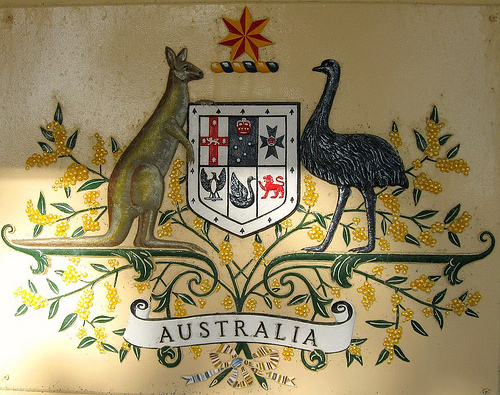 The shield is supported by a kangaroo and an emu, and in the background is Australia's national flower - the golden wattle.